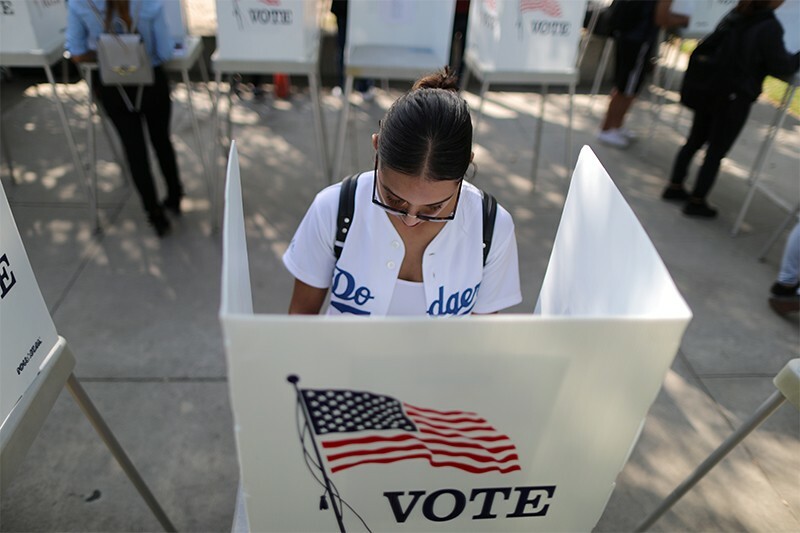 With most of the results in from the US midterm elections, several candidates with backgrounds in science or technology have won seats in the US House of Representatives. Democrats won a majority of seats in the House, taking the chamber back from Republicans — who still control the Senate and the White House. Analysts say that the Democratic hold on the House is likely to translate into congressional hearings on the scientific justification behind the Trump administration’s efforts to roll back a variety of climate and environmental regulations. A huge study of Ancestry.com data has revealed that genetics have much less influence on how long we live than was previously thought. Researchers looked at data from 400 million people born in the 1800s and early 1900s and found that less than 10% of the variation in longevity can be attributed to genetic differences. Assortative mating — the fact that people tend to select partners with traits like their own — is a much bigger factor in explaining why long lives tend to run in families. Short-term contracts, arbitrary funding criteria, harassment and a perception that caring for family takes priority for women are among the barriers driving talented female chemists out of the field, says a report from the Royal Society of Chemistry (RSC). The society is responding by launching a harassment helpline and a new system of carers’ grants. The RSC also lays out a plan for funders, academic institutions and individual chemists to make changes. “There is plenty of evidence, and not enough action,” says RSC chief executive Robert Parker. “‘I don’t need to write that down, I’ll remember it’ is the biggest lie you can tell yourself,” says recent PhD graduate Lucy Taylor. She curates a list of practical advice from current PhD students and postdoctoral researchers from the Department of Zoology at the University of Oxford for freshly minted graduate students. China is placing its former ancient capital, Xi’an, at the centre of a massive trade network as part of the country’s ambitious Belt and Road Initiative. The city is building business incubators from scratch — including an empty, yet fully operational, semiconductor factory — in a bid to become an innovation hub. Nature explores how Xi’an is trying to evolve from being the source of the Silk Road to the site of China’s Silicon Valley. If you wanted to watch all the season-one episodes of the cult anime television series The Melancholy of Haruhi Suzumiya in every possible order, what is the shortest list of episodes you would have to watch? That’s the unlikely question that prompted an anonymous forum poster to offer a lower bound to the answer — thereby advancing the so-called ‘permutation problem’ that has stumped mathematicians for decades. In a new twist, the upper bound has now also been suggested from another surprising source: award-winning science-fiction writer Greg Egan. Before you crack on with watching at least 93,884,313,611 episodes of The Melancholy of Haruhi Suzumiya, why not let me know what you think of this Briefing? Please send your feedback to briefing@nature.com.